Following the success of the Adam Levine-Kiera Knightley starrer Begin Again, Solar Pictures brings to local cinemas COMET. 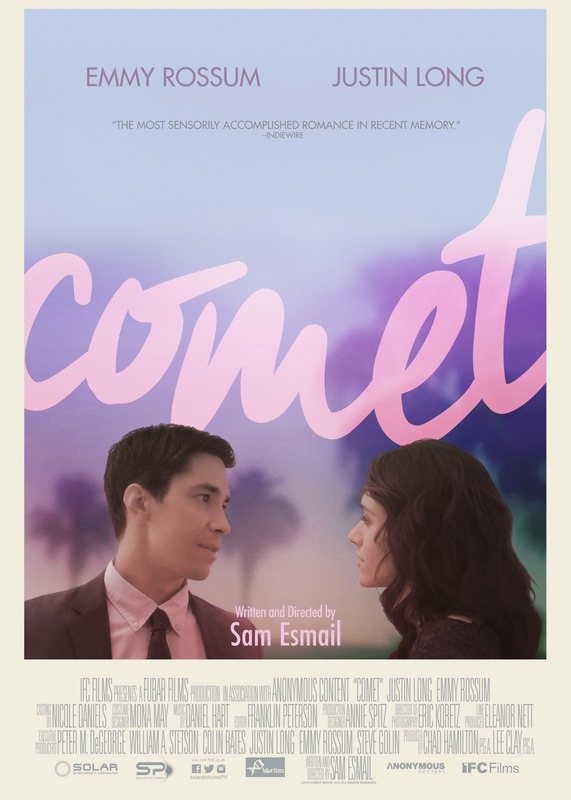 Written and directed by Sam Esmail, Comet is a cosmic love story that is sure to leave audiences with that warm February feeling. Comet stars Golden Globe nominee Emmy Rossum (The Day After Tomorrow, The Phantom of the Opera, Mystic River) as Kimberly and Justin Long (Live Free or Die Hard, He’s Just Not That Into You) as Dell. The cast also includes Kayla Servi as Stephanie and Eric Winter as Josh. Comet is an original modern love story that follows Kimberly (Rossum) and Dell (Long), who first meet at the Hollywood cemetery where they’ve both come to watch a meteor shower.